Korean electronics manufacturer LG launched its first Symbian S60 device, the KS10, in Italy on Monday. 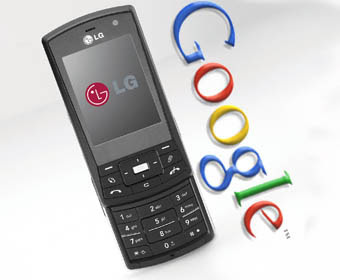 The device is the result of a global collaboration with web giant Google to pre-install Google services on millions of LG mobile phones but it is not the much awaited 'Google phone'. The HSDPA-enabled smartphone is LG's first foray into S60 land and provides a full web browsing experience on its 2.4" wide screen, allowing uses to browse the 'proper' web rather than the mobile version. The phone, previously known as the 'Joy', comes with Google services pre-installed, giving one click access to Google Search, Gmail, and Google Maps. The KS10 is the first unit to be rolled out following Goole and LG's announcement in March. The handset firm expects to launch at least ten new handsets in 2007 with future version to feature pre-installed Blogger. In the future, the partnership will extend beyond handsets and into the digital home, the companies said. Meanwhile, Google has confirmed that it is working on a dedicated mobile project. Here comes Google extending its mobile muscles. Its going to be exciting mobile year ahead with iPhone launching mid year and Google Phone at the end of the year hopefully.